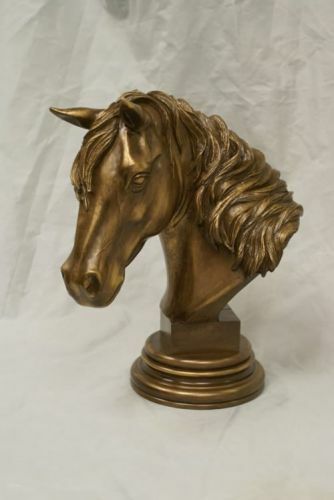 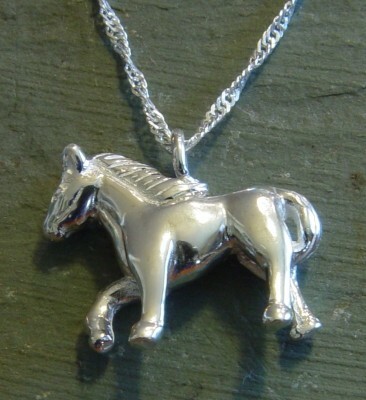 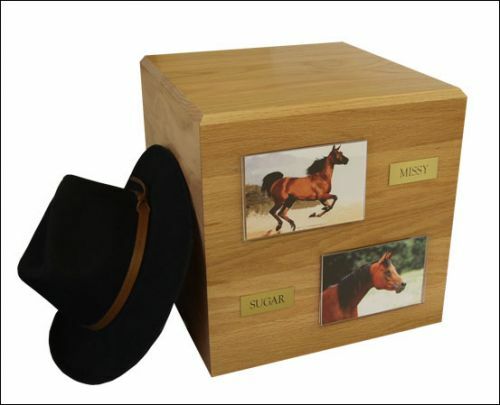 Horse Bust can serve as a keepsake or could be mounted on a full size urn. 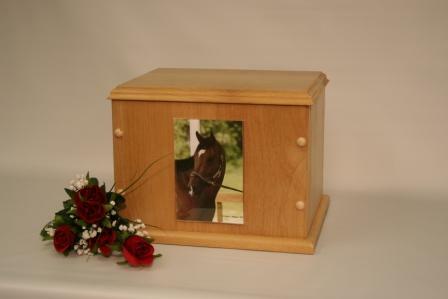 A large capacity hand crafted urn with chest like styling and decorative button screw caps. 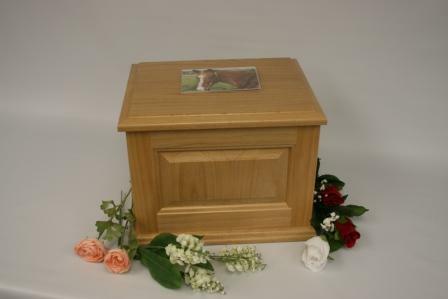 This is a large capacity hand crafted urn with country styling and decoritive screw caps. 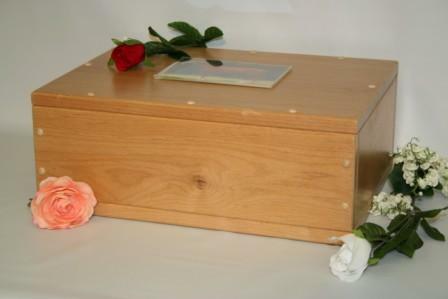 This large capacity true raised panel urn is hand crafted from solid North Pacific Alder Hardwood.